For some, Sunday mornings are for sleeping in late and then enjoying a delicious brunch. For others, it means waking up bright and early for a good cause – Mr Dean Tan falls in the latter category. 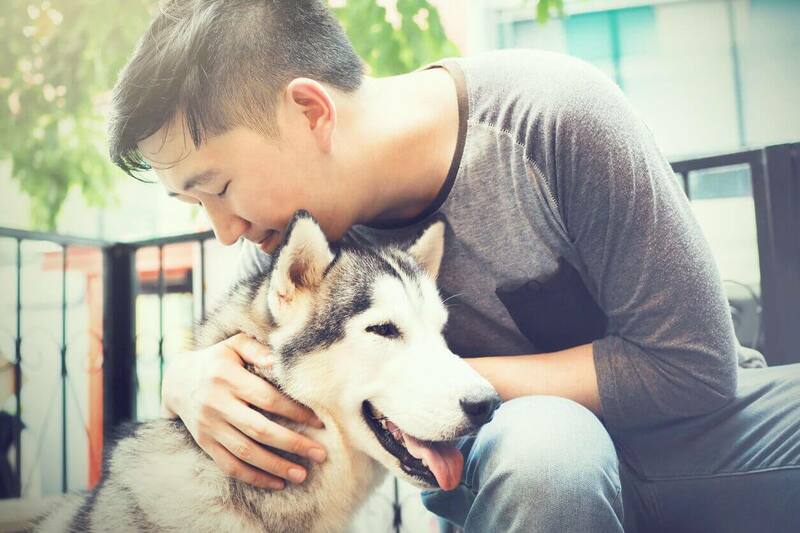 For the past year, the digital marketing specialist at Etiqa Insurance has been making his way to Mercylight, a non-profit shelter for stray dogs every Sunday at 8:30am. He spends half a day helping out with various chores including walking the dogs, bathing them and cleaning their shelter. It brings me joy when I sense the happiness that I bring to the strays’ lives. Even though they cannot speak, I can feel a connection with them. Volunteering in a dog shelter also gives me the opportunity to socialise with kind-hearted fellow volunteers from all walks of life who are passionate about animals. I have made good friends through my volunteering experiences and some of them have even offered me valuable advice on becoming a better person. And Mr Tan is right. While it is extremely rewarding to be able to make a difference in the lives of the less fortunate, volunteers do gain some surprising benefits too. Studies have found that those who volunteer benefited from lower rates of depression and lower mortality rates, and are generally happier compared to those who don’t. Charity work is also a savvy way to develop new skills and gain experiences that can benefit your career. They always need an extra pair of hands, so head down and help them today! For a purr-fect (sorry, we could not resist the pun!) dose of destressing cat interaction, why not volunteer at Love Kuching Project? This community-based feline rescue group which rehabilitates stray cats and raises awareness for pet adoption is always looking for cat lovers to volunteer with them. There are regular evening sessions where volunteers can pitch in to clean the space and play with the cuddly kittens living there. The organisation also conducts regular cat therapy sessions at senior homes and with special needs children and young adults. If you do not have a cat of your own, fret not, as they accept volunteers with or without a cat. Gift young ones a lifelong love for reading and encourage their curiosity for knowledge by participating in the kidsREAD programme. Co-organised by the National Library Board, People’s Association and five self-help groups, this initiative aims to cultivate good reading habits among young children aged four to eight, particularly those from low-income families. The reading sessions are held at libraries and organisers are always on the lookout for volunteer readers to bring much-loved children’s storybooks to life. It is a great way to brush up on basic storytelling skills – a talent that could come in handy during your next PowerPoint presentation! Of course, it is also a fun way to spend a couple of hours interacting with adorable kids. Those with an interest in advocacy work may find TWC2 (Transient Workers Count Too), an organisation supporting low-wage migrant workers in Singapore, a fulfilling place to volunteer. The group accepts volunteers from media relations, communications and law to help with its various cases and programmes. Alternatively, those who enjoy food and interacting with people can volunteer for its Cuff Road Food Programme, helping serve free meals to migrant workers. This is also where volunteers get the opportunity to befriend the workers in a casual setting to find out about the difficulties they are facing. Make a difference in the lives of old folks simply by showing you care when you volunteer at Ren Ci Hospital. This charity healthcare institution, which provides affordable medical, nursing and rehabilitation services for senior citizens, accepts volunteers who help complement the services it provides. Volunteers may participate in a range of holistic activities, from simply befriending a resident and providing a listening ear to helping out in recreational activities such as art and craft, cooking and exercise. Volunteers may also lend a hand at physiotherapy and feeding sessions. These activities may seem simple, but go a long way in helping senior citizens feel cared for and loved in their twilight years. With so many ways to give back to society, it is time to step up and help to make the world a better place by sharing the love.